Ford Transit MK2 accessories, these are element like antifreeze coolant. Ford Transit MK2 accessories, these are element like antifreeze coolant. This department also includes such components as the brake fluids. Our offer is a great opportunity to purchase many products in the low prices. You should remember, that it’s worth to exchange this parts to avoid some breakdowns, caused by fluids consumption. The exchange of brake fluid should be make regularly every two years, because it has the hygroscopic properties. These are capable to absorb the moisture from the environment. And that is connected with the boiling point reduced, what is able to prolong the braking distance of vehicle. What’s important, even unused brake fluid poured into the brake system should be replaced after this period. When it comes to the tidbits of Ford Transit MK2 model, the long version of the body ahead it had the ventilated disc brakes, which was quite modern for those times. 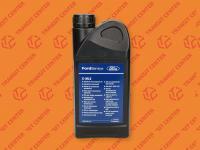 We also offer to you the original antifreeze coolant, which is recommended to the older models of Ford Transit. We honestly encourage to take an interest of our accessories offer and contact with us by e-mail. We guarantee a kindly service.